I would like to tell you a story that will relate to a few of my last posts, and I’m hoping that it will inspire you to make a difference in a few lives…three in particular. 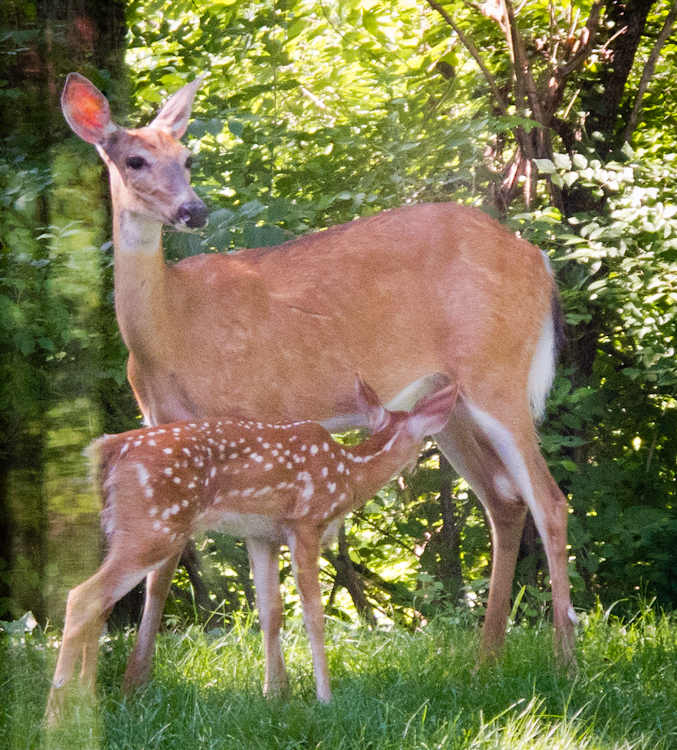 Today, as I was watering our garden, I paused and saw something very large moving close by, I got scared for a second and then realized…oh, it’s OK, it’s just mama deer with her two young, shy, speckled fawns. They pass through the yard a lot…most of the neighbors don’t like them at all. They limit what you can plant, because they eat just about everything…especially everything pretty….roses (my favorite) and lush hostas, lilies and tulips (it’s like giving them candy). So, my garden has changed as the deer have grown in population. But, I love watching the mother deer and her two daughters, I identify with them…I have a daughter, and I had to teach her how to make her way in this crazy world. Mama deer is a teacher too, she shows her fawns what to eat and of what to be fearful. Sometimes, even though you know what you should be afraid of, your life can be ripped right from underneath you when you least expect it…not so much from something that you feared, but something you never expected. That is what happened to food writer and blogger, Jennifer Perillo, when her husband Mikey died from a massive heart attack and left Jennie and her 2 young daughters alone and unprepared for life without him. I too, was unprepared when my parents died a few weeks apart. I know what it is like to stand in a rushing stream, having to find your way to shore…by yourself. It’s hard and it takes guts and perseverance and the will to go on. I know Jennie has all these things qualities…and I know she has 2 precious little girls. I want to do what I can to help them move forward by putting the Bloggers Without Borders donation button on my blog (which will be on my new design). It is a great organization that has helped many causes, but right now, the cause is Jennie. Her husband was ripped away from her and she needs our help to move forward to pay impending bills for health care and to keep the roof above their heads. If you have ever been in this situation, you know what I’m talking about…and if you’ve never been in a hard place, then you’ve been blessed. Please help me, help Jennie by contributing to the Bloggers without Borders #afundforjennie. You can contribute any amount and 100% of the donations will go directly to Jennie. Since my donate button is not up and active yet, just go straight to the Bloggers Without Borders site to contribute via your PayPal account, or, you can bid on the lovely prints from my generous husband, Jeff that are up for bid in my previous post. Either way, you’re going to help 3 wonderful people that really need your help right now. very sweet blog…! sending zingers of comfort and resilience to jenny….